Unlike standardized Medicare supplement policies Medicare Advantage plans not only have different premiums they also include a wide range of benefit differences. Having a road map to help you compare Medicare Advantage plans can insure that you are making the best choice. In the past few years we have seen Advantage plans go through some significant changes. Changes to Medicare Advantage plans require that you take a consistent approach to comparing plans. If you currently have an Advantage plan don’t assume that the plan will have the same premium or identical benefits as your current year’s Medicare Advantage plan. Plans are offered on an annual basis and you have an Annual Enrollment Period (AEP) for a reason. Many PFFS Advantage plans will not renew for so you may not have an option to keep your current plan after the first of the year. Look for any communications from you current Advantage plan that inform you of a change in status. If you choose a network based plan (PPO, HMO, POS), make sure that you review the provider directory to make sure that your doctors are included. Also make sure that you are satisfied with the hospitals that are in-network. If your providers are not in network determine if you can pay a little more and go out-of-network to receive your services. A Medicare PPO will generally afford you more freedom than a HMO plan. Don’t rule out a Medigap policy just because you never had one. Medigap is the governments official term for a Medicare supplement. Remember, a Medicare Advantage plan is not a supplement they are two different types of plans. A supplement does not require that you utilize a network to receive your services. Medicare supplements are standardized plans and it’s easy to compare one to another. With premiums for Medicare Advantage plans in some cases, being higher than some supplement plans, you owe it to yourself to include Medigap when you compare Medicare plans. 4. Can you afford the monthly premium? This goes without saying but with some people blindly accepting the renewal of their current plan it needs to be stressed. It’s not only an affordability issue but also a value issue. If you are not using the extra benefits such as; vision, dental, gym memberships, catalog discounts, etc., then consider a plan without the extras if it will save you some money. If you search for plans in your area you will most likely find dozens. 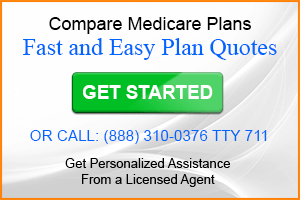 Today the simplest way to compare Medicare plans is to compare plan options online. Comparing Medicare Advantage plans can be hassle-free and you don’t need to meet with countless insurance agents to find the best plan. Visit the Medicare website to see available plans. The Annual Election Period for plans with a January effective date begins October 15th and ends December 7th. Being prepared can assure that you make a wise choice. Medicare is going to get real expensive. What a shame. Medicare Advantage was so affordable & included part D. I hope I don’t have to get a “medgap or supplement plan” as they don’t include prescription drugs and you have to get that Part D separately & you have to pay over $300 before the drug coverage even kicks in. How silly is that. So far, I really haven’t seen any NEW IMPROVED BENEFITS. Only higher costs. $500 million is being taken out of medicare to cover all the new people…those under 65 & kids. Us old folks are carrying the burden. This article is very informative. Thanks for your point of view. I think you will see most areas having some Advantage plans without a monthly premium or a fairly low premium. I guess we’ll know soon, as plans are introduced October 1. I would point out that not all stand-alone Part D plans require the $300 annual deductible that you are referring to. 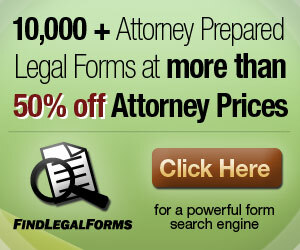 There are a number of plans without an annual deductible for 2010 and I believe we will see some for 2011. I have been looking for hours to compare 2012 medicare advantage plans. Everysite I go to ask for name and address why should I have to give this on a medicare site? Several sites say I can get the info on the medicare site but I haven’t been able to find it. Donna, It sounds like you are visiting sites that generate leads for insurance agents. Go to http://www.medicare.gov and click Compare Drug and Health Plans. Follow the prompts to see all plans available. You can then link to each companies’ website to see plans in your area. Helen, Thank you for the kind words. I have had Medicare advantage but can I go back to regular Medicare with a supplement of choice? Terry, Theoretically, yes. 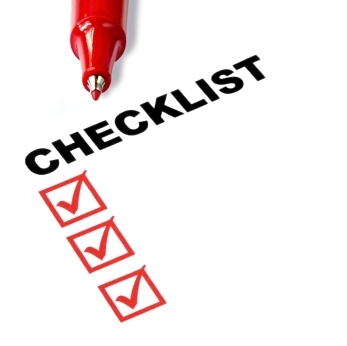 You may be subject to medical underwriting unless you are entitled to Guarantee Issue Rights. I am really having trouble knowing whether to get a medicare advantage plan or a medicare supplement plan. I just can’t seem to decide which is better for us. Pat, Sign up for my Free 8 Part Video Mini-Course, it has helped many people decide between a Medigap policy and a Medicare Advantage plan. If you still need help after watching the videos you may want to contact a local insurance agent for help or call PlanPrescriber at 888 310-0376 to get personal assistance.